My mom is so happy and the staff is amazing!! It was so hard understanding this whole process, but the Meadowview staff helped us through this journey and we couldn't be more pleased! Mom is thriving! The best way to get to know a community is by scheduling a tour. See the facilities, meet the staff and residents, and get a feel first hand what it's like to live at Meadowview Place Assisted Living. At Meadowview Place in Nacogdoches, our staff are always available to make sure that every need of our residents is quickly and efficiently met. Residents can choose from a variety of floor plans, and communities are designed to feel just like a second home. Meadowview Place is just one of the many properties managed by Enlivant. An operator of more than 200 senior living residences, the goal of Enlivant is to enhance senior's lives by providing them with a homelike setting that encourages independence. At Meadowview Place, our community is designed to meet nearly every need of our thriving senior residents. Seniors can relax in our lounge, keep in touch with family in our computer area and even receive a trim in our barber shop and beauty salon. We also offer a monthly calendar that includes everything from fitness classes to educational lectures. To ensure that our residents stay in the best health possible, we also offer a dining program that features three meals a day plus snacks. Each one is specially prepared to meet the unique nutritional requirements of our residents. To help our residents enjoy a luxurious and relaxed life, our expert staff happily handles things such as weekly household chores and laundry. Every room is outfitted with an emergency response system so help is never more than a few moments away. When residents need to make a medical appointment, our staff is always available to provide shuttle transportation. We can also assist residents with day-to-day needs such as bathing, medication support and dressing. 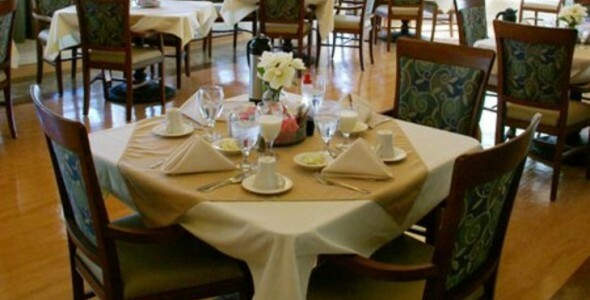 Moving into an assisted living community can be a challenging and difficult decision. After one sees the extraordinary level of care offered by Meadowview Place, however, the decision becomes one that our residents never regret.